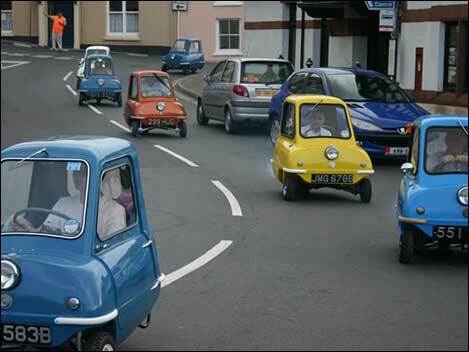 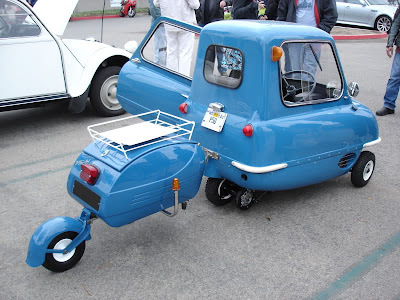 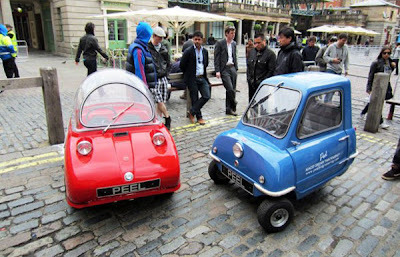 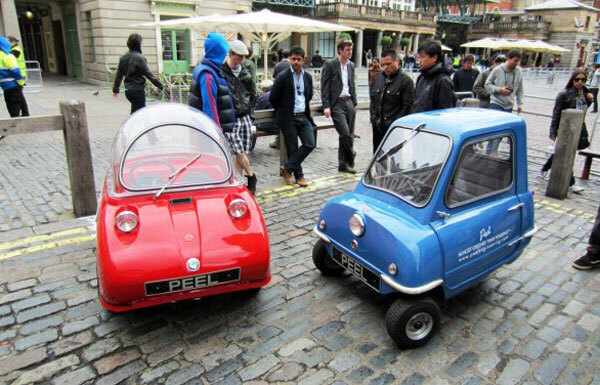 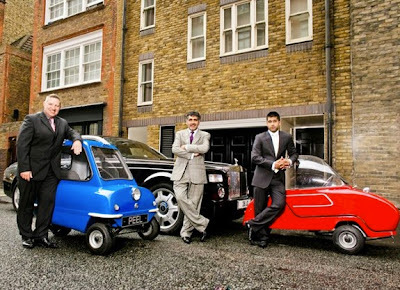 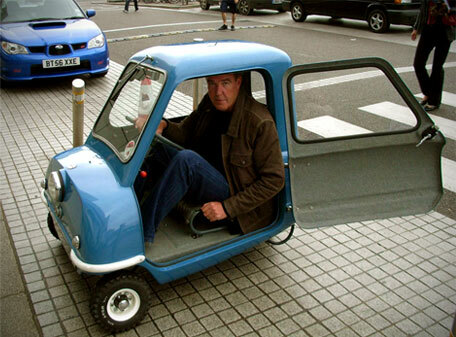 The Peel P50 is a three-wheeled microcar originally manufactured from 1962 to 1965 by the Peel Engineering Company on the Isle of Man. 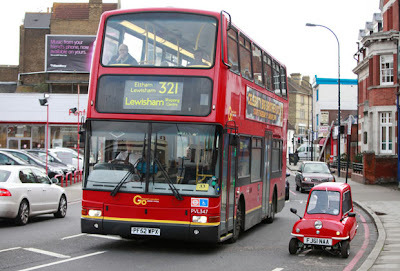 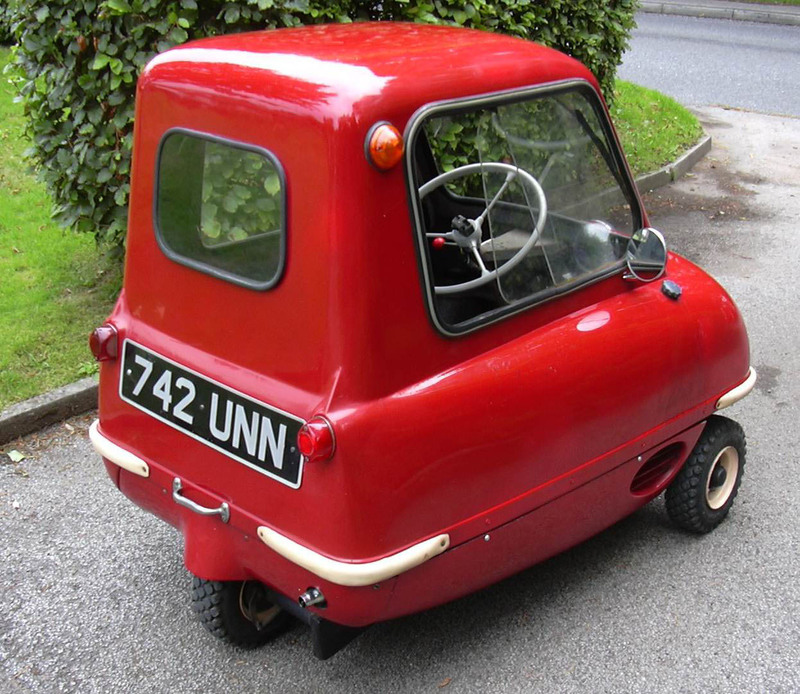 The 1963 model retailed for £199 when new (about £1400 in 2010, or $2200 USD), and currently holds the record for the smallest automobile to go into production. 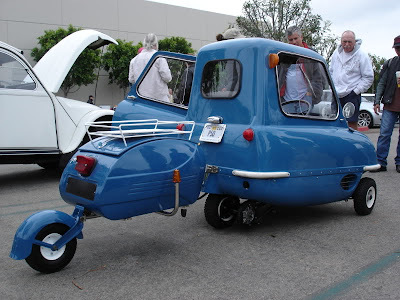 It has no reverse gear thus proving difficult to maneuver in tight situations. Designed as a city car, it was advertised as capable of seating "one adult and a shopping bag." The vehicle's only door was on its left side, and equipment included a single windscreen wiper and only one headlight. 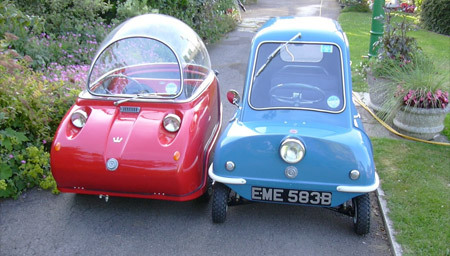 Standard colors were Daytona White, Dragon Red and Dark Blue. 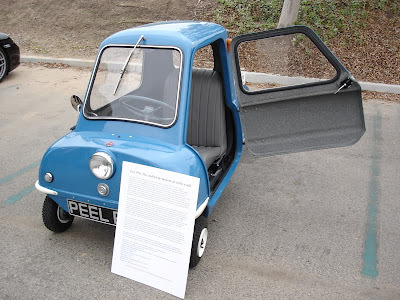 In 2010 production of a replica version was started by a newly formed company, called Peel Engineering Ltd based in England But the original Peel Engineering Company was from the Isle of Man. 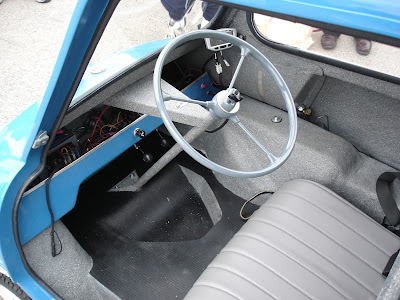 Externally this car was very similar to the original but with many major mechanical differences in the suspension, steering and drivetrain. 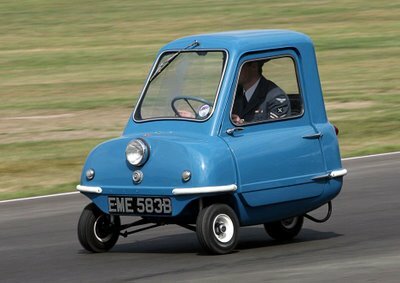 Driven by an electric motor and with a top speed of 16 km/h (10 mph), this version was produced as a display vehicle and was not road legal. 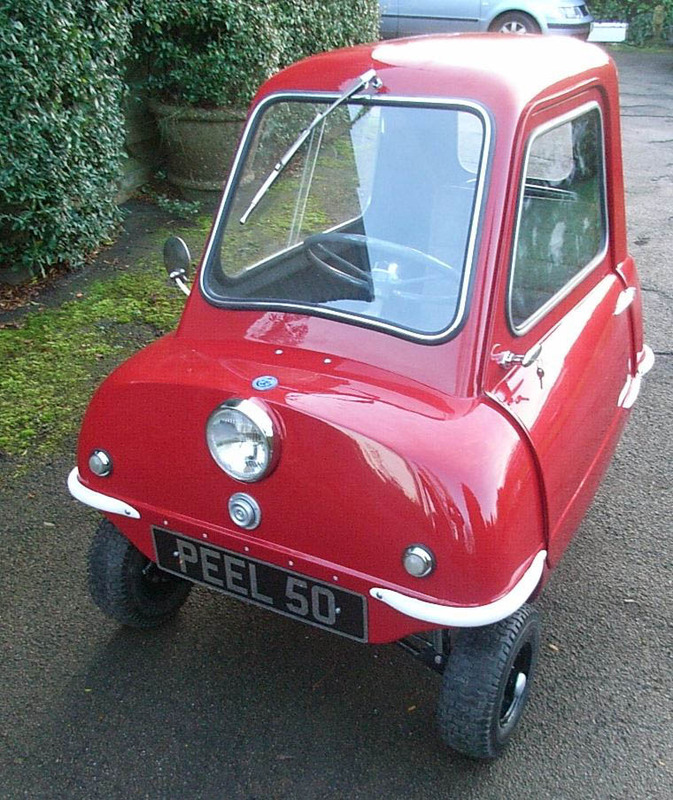 In 2011 production commenced on a new road legal petrol version.